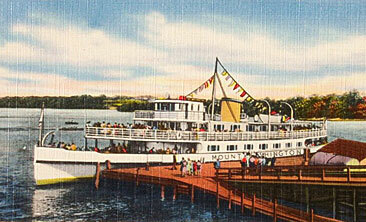 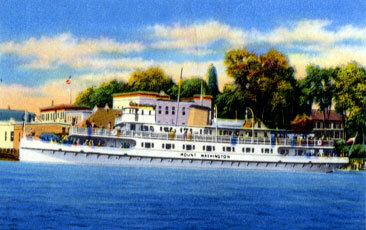 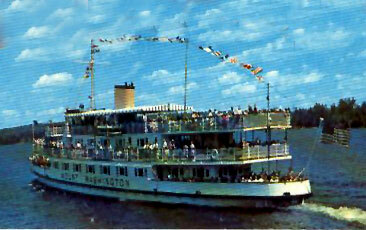 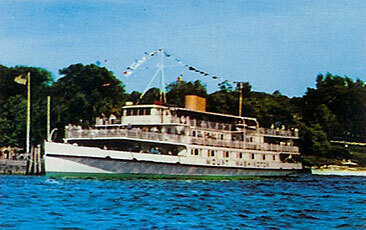 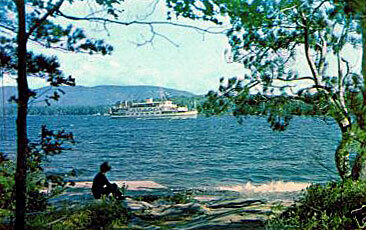 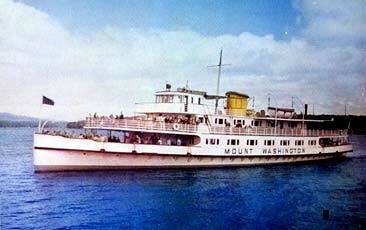 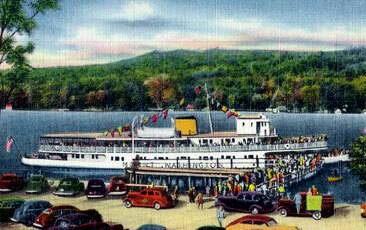 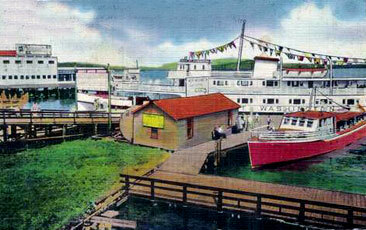 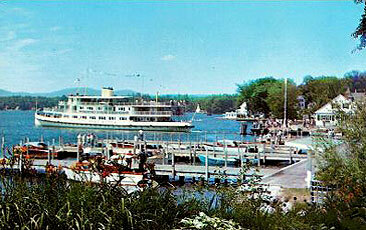 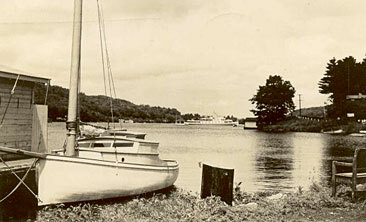 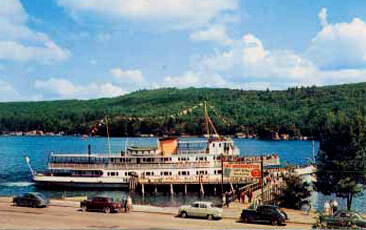 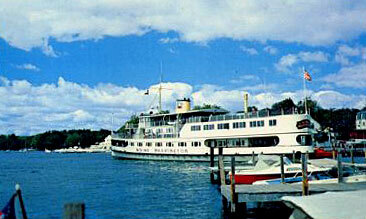 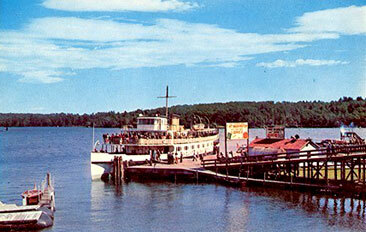 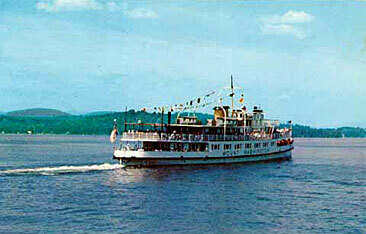 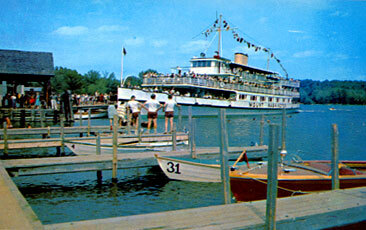 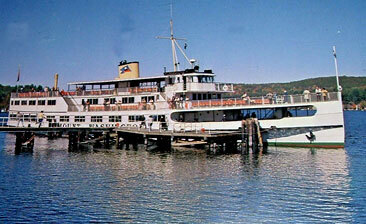 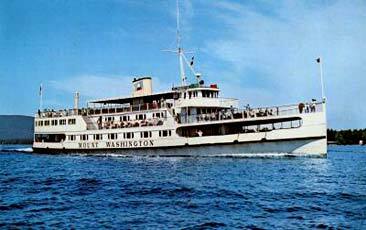 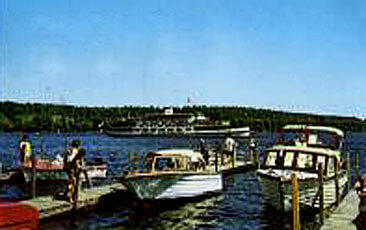 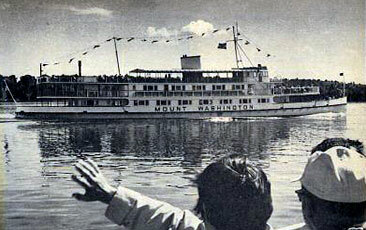 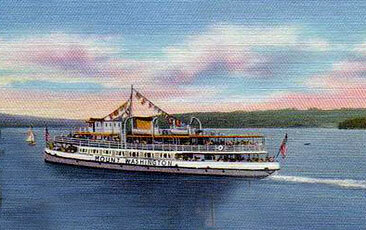 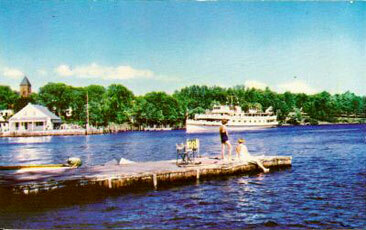 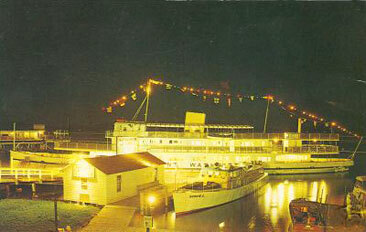 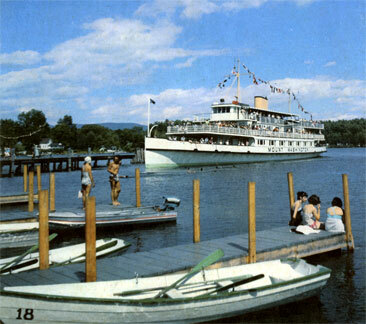 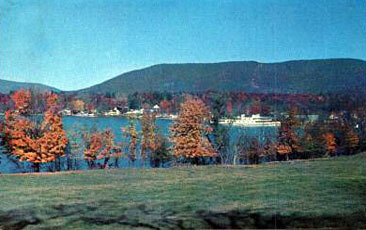 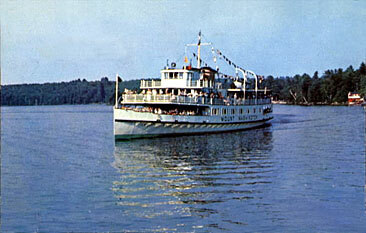 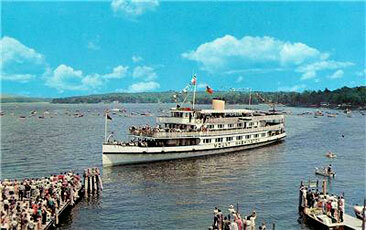 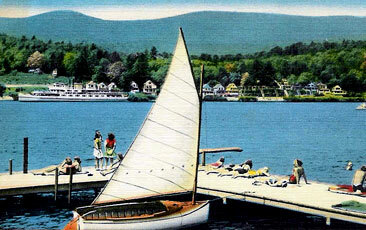 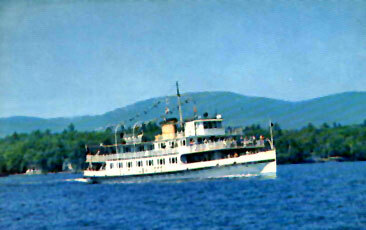 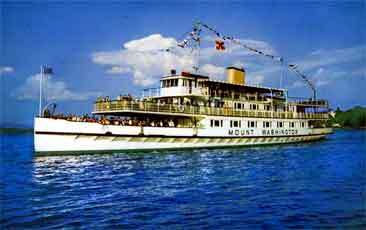 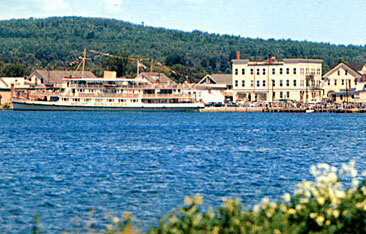 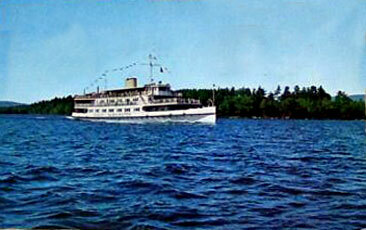 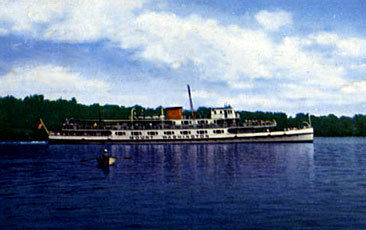 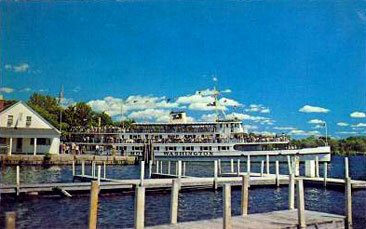 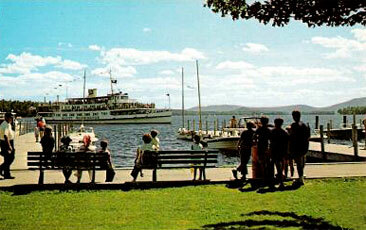 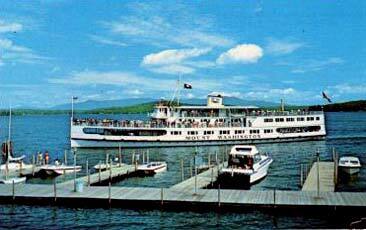 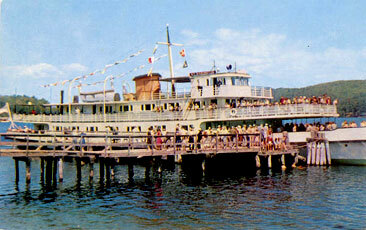 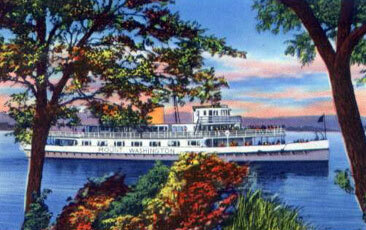 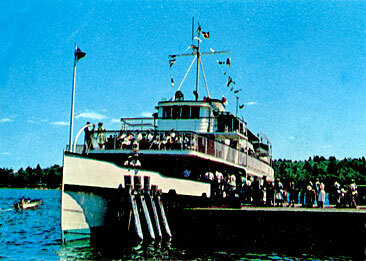 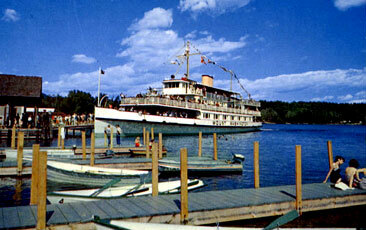 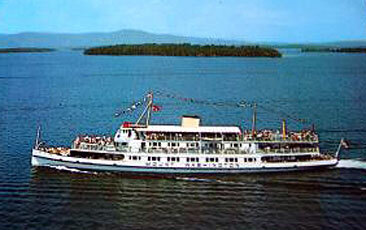 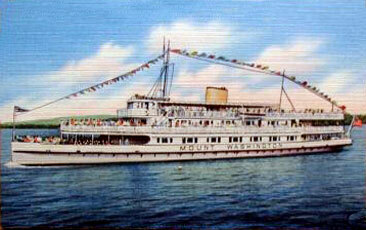 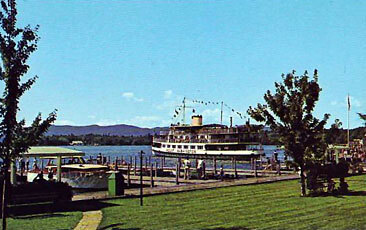 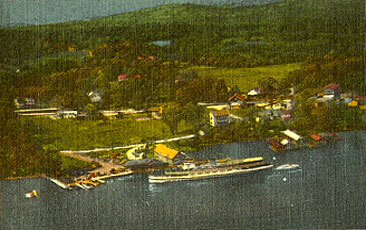 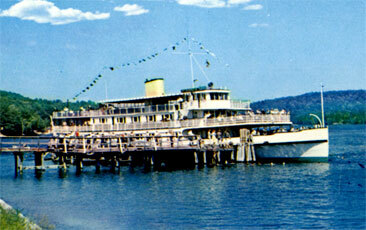 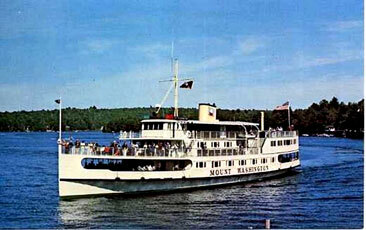 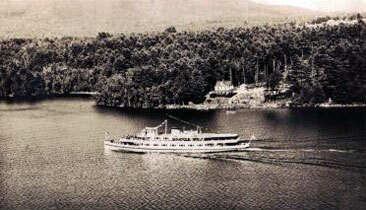 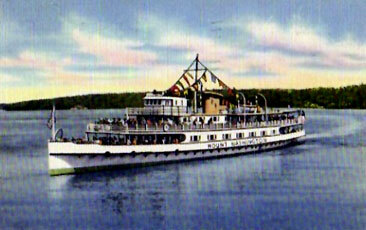 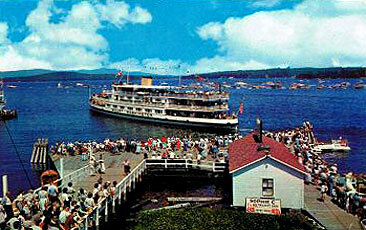 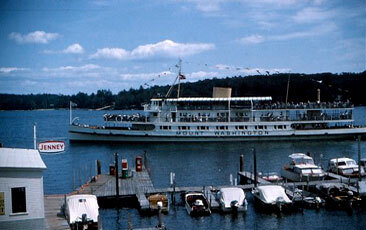 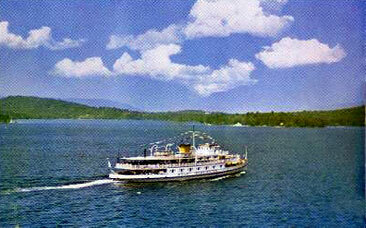 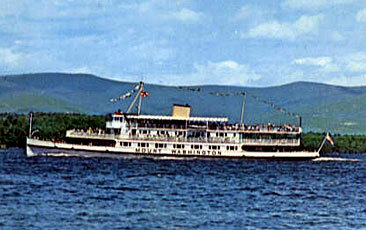 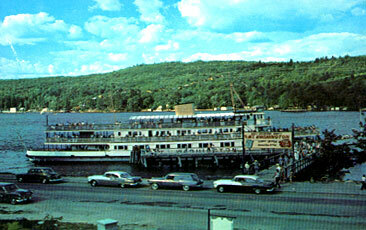 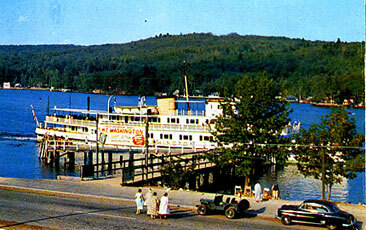 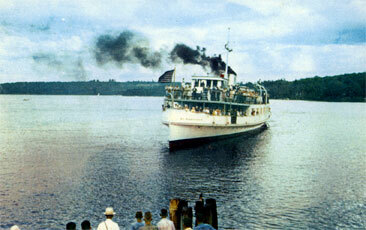 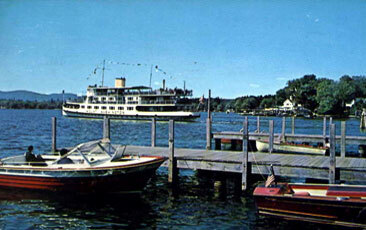 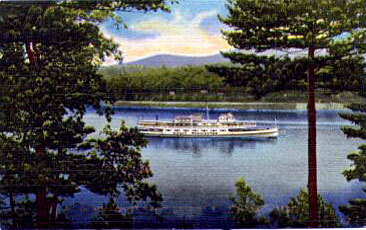 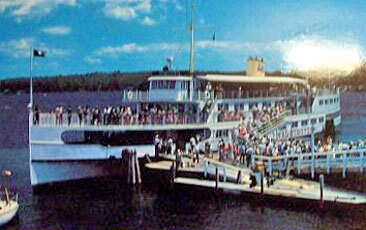 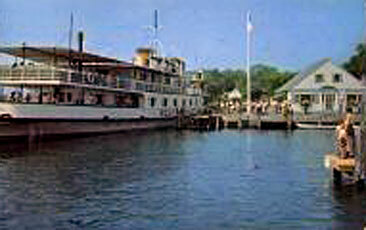 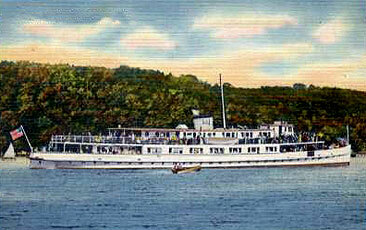 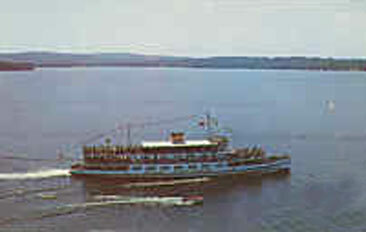 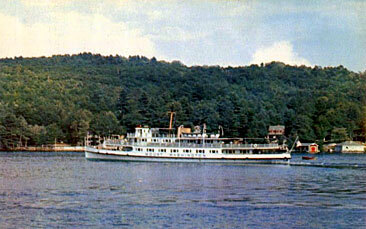 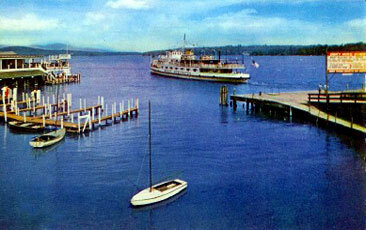 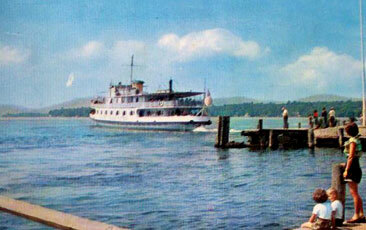 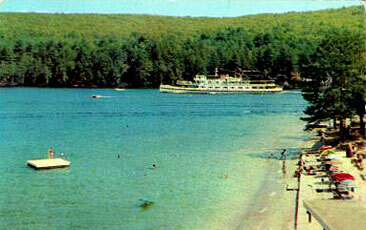 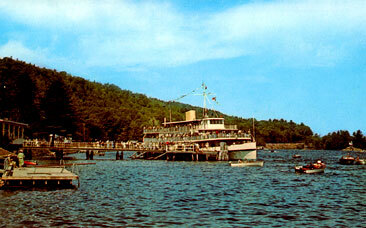 The images here are only of the shorter new Mount Washington, before her 25' lengthening in 1983. 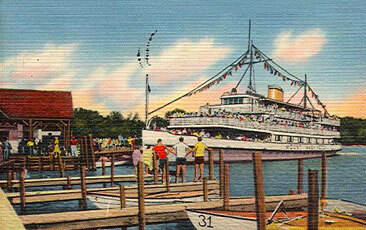 If you perform a close inspection of these images you will notice that in some of the older images there seems to be only two decks, while the later images seem to show three. 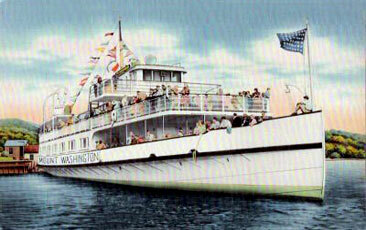 This is not an optical illusion. 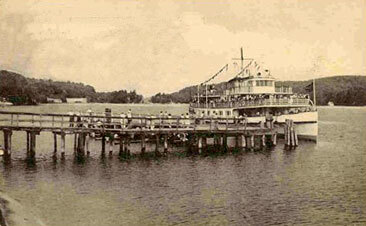 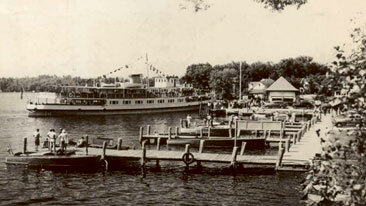 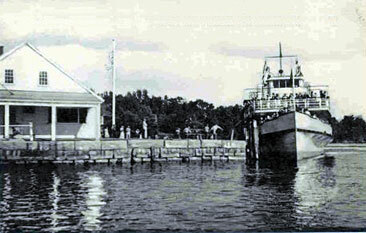 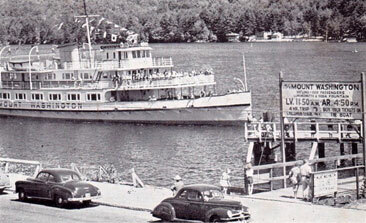 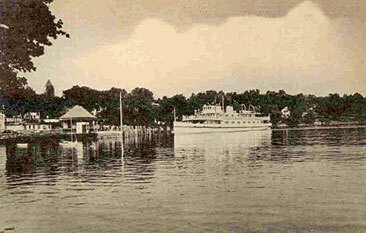 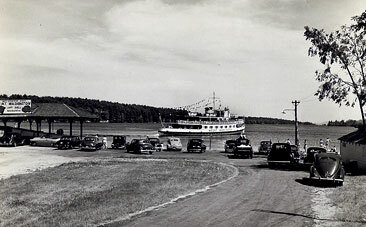 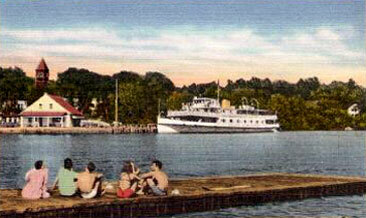 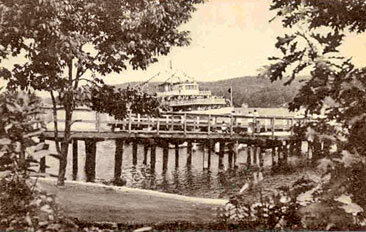 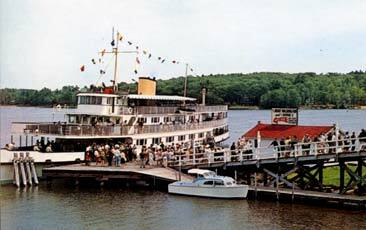 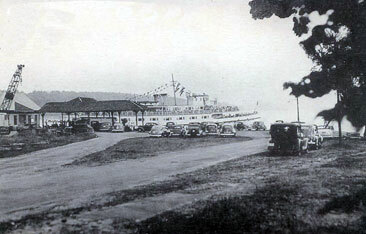 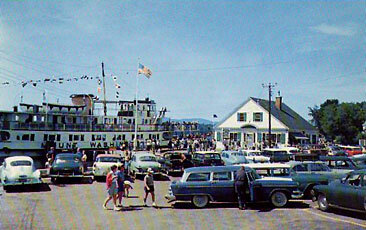 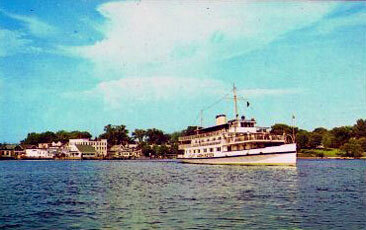 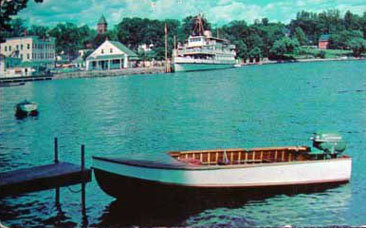 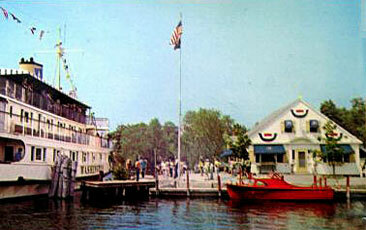 In 1947, the pilot house was raised to the third level. 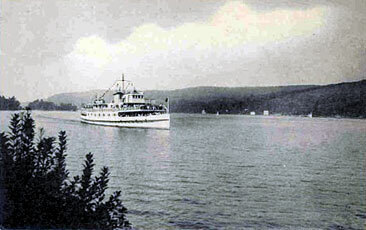 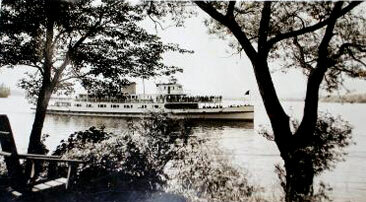 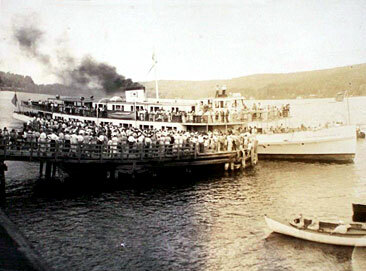 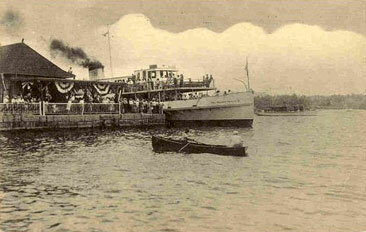 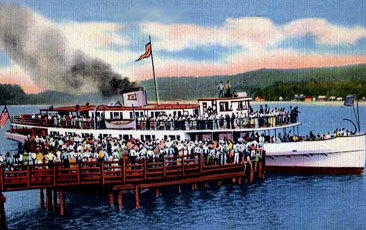 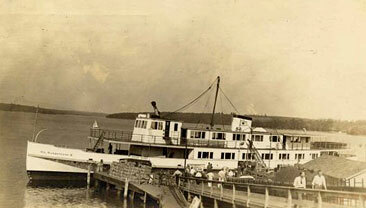 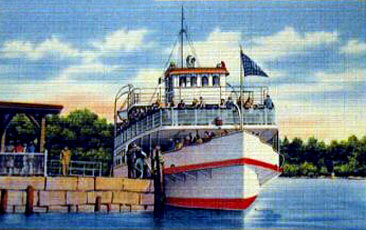 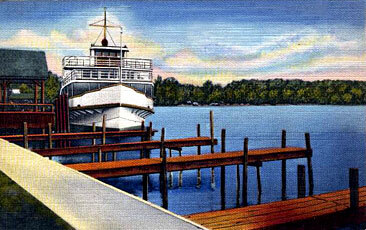 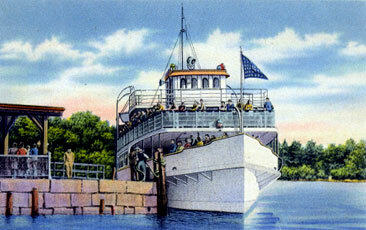 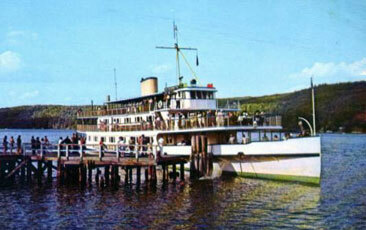 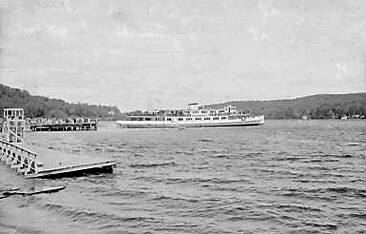 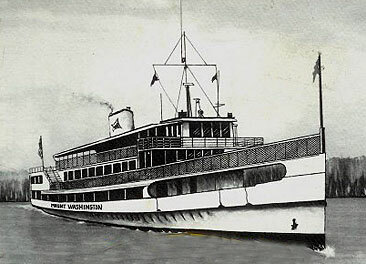 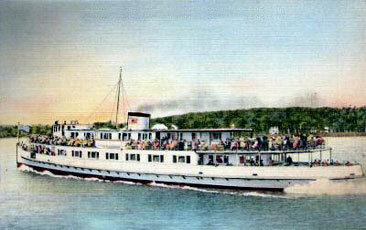 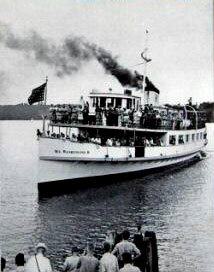 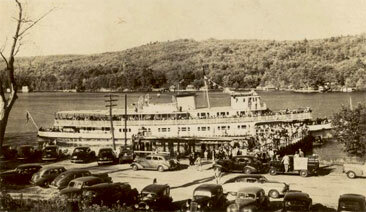 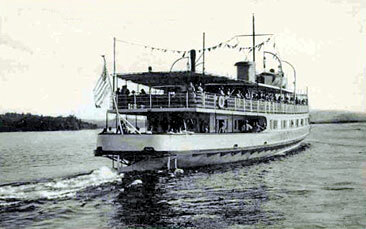 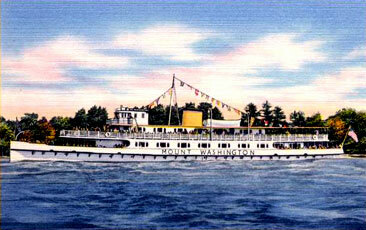 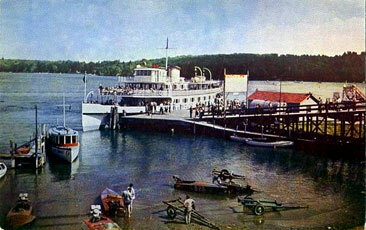 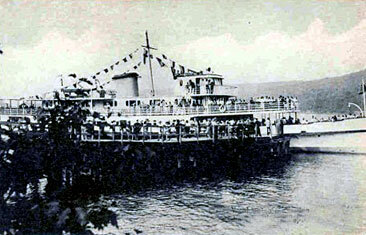 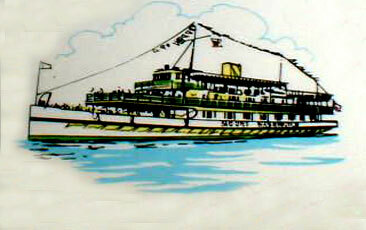 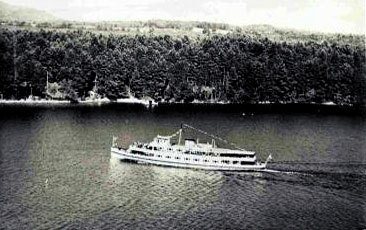 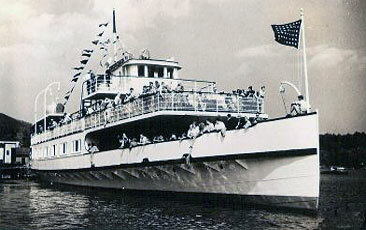 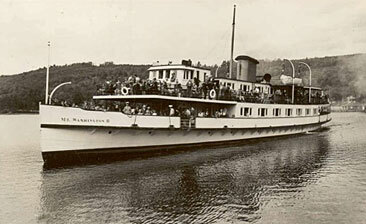 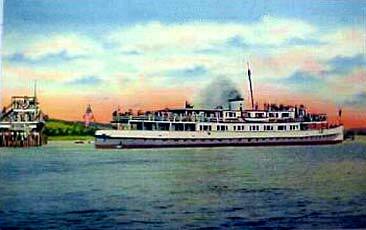 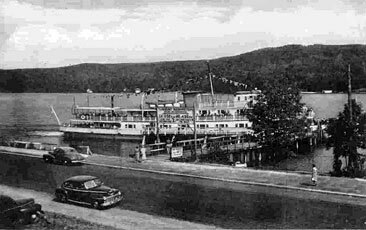 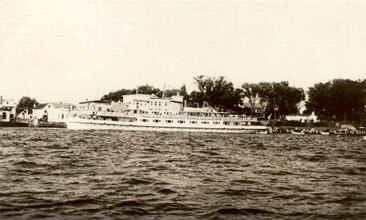 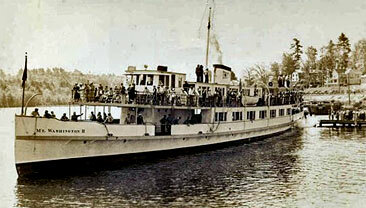 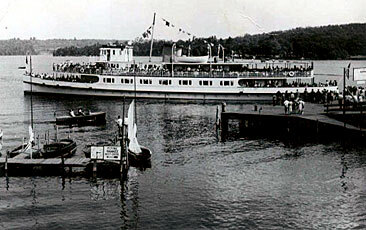 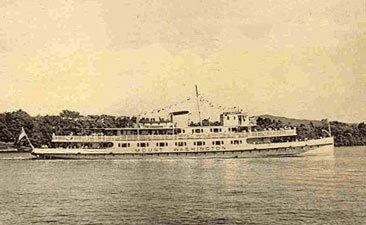 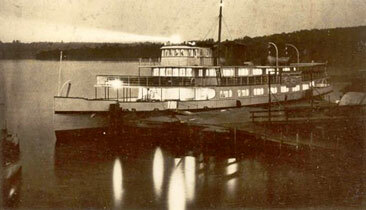 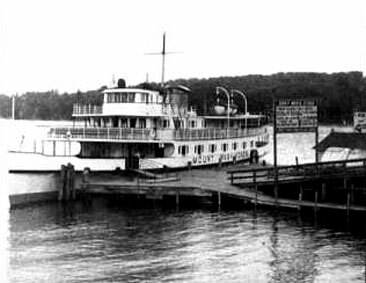 Soon afterwards, additional passenger capacity was added on the third level, both amidships (which required the raising of the smokestack), and in the stern of the craft. 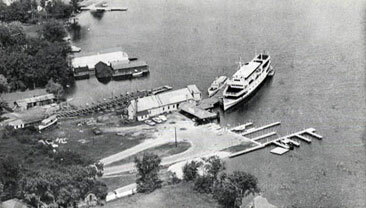 The last major change before 1983 was to the the second level. 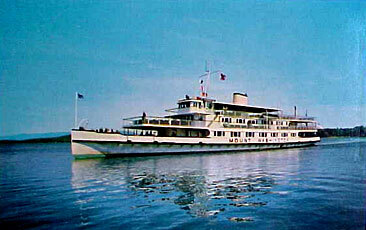 In the stern, the second level was enclosed, while in the bow, the second level was extended all the way to the prow of the vessel.